Inspiring Children to Become Saints! Dolls from heaven are 18 inch Saint Dolls. They come with an outfit based on what the Saint wore during their life and a book that will inspire children to become saints. St. Therese, St. Joan of Arc, and St. John Paul II are some of our favorite saints. They have not only inspired our family but millions of people with their life stories. 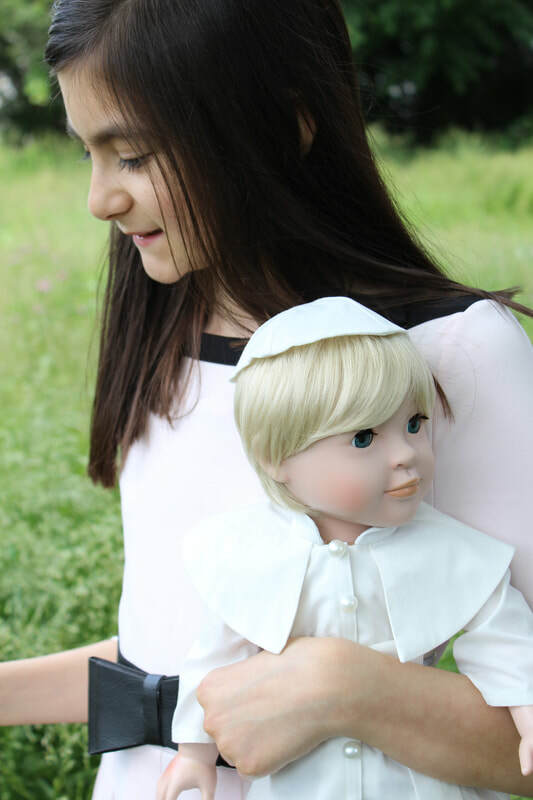 We hope that our dolls will encourage young children to make Jesus the focus of their lives. Saints are important for our time they teach us to be a witness for Christ. 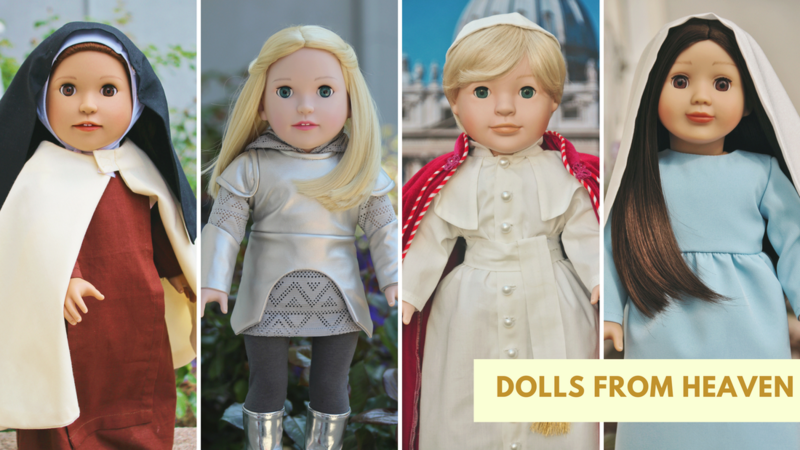 ​Our plan is to introduce a series of saint dolls, whose story will encourage children to follow Jesus. Saints, like Saint Mother Teresa, Saint Bernadette, Saint Patrick, Saint Francis and many more. Order today, a Doll from Heaven for your children, grandchildren, nieces, friends, and Godchildren.